You’ll soon begin to notice some changes to the food labels on the items you grab from the grocery store. 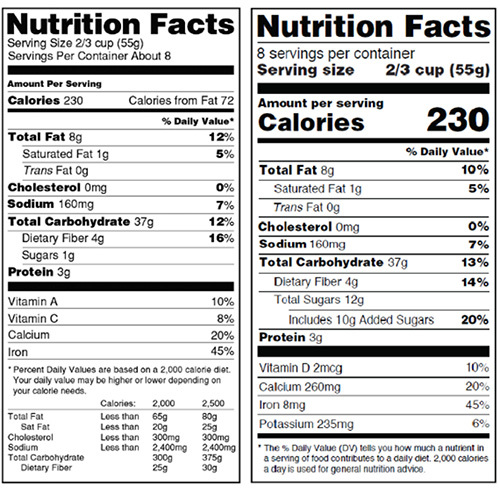 May 20, the Federal Food and Drug Administration (FDA) finalized the new Nutrition Facts labels. 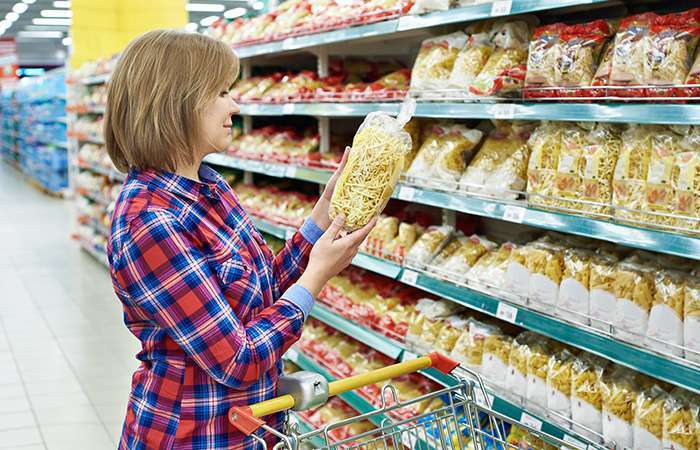 The changes aim to help consumers make better and more informed choices about what they’re putting into their bodies. These new labels include more information about added sugars and better reflect the serving size that Americans are now chowing down. The FDA says the overall look of the label remains the same, but the updates make it easier for consumers to easily identify the most important facts on the labels. That includes increasing the type size for “calories,” “servings per container” and “serving size” facts. “Calories” and “serving size” will also appear in bold-type. An important addition to the label is the “added sugars” section. The FDA says scientific data shows it is difficult to meet nutrient needs while staying within calorie limits if you consume more than 10 percent of your total daily calories from added sugar. Vitamin D and potassium are also being added to the list of required nutrients that manufacturers must disclose. Calcium and iron will continue to be required, but vitamins A and C are now optional. The FDA says the labels also include a revamped serving size adjustment. By law, serving size must be based on the amounts of foods and beverages that people are actually eating, not what they should be eating. Officials say the amounts people are eating and drinking has changed since the requirements were first published in 1993. Now, a serving of ice cream is 2⁄3 cup, when it used to be 1⁄2 cup. A service size of soda is changing from eight ounces to 12 ounces. The FDA also says most people typically consume one entire package in a sitting. The new labels must match what’s in the package. For example, if there’s a 20 ounce soda, the calories and other nutrients will be higher than what is in a 12 ounce soda and will be marked as only one serving. The FDA says for certain products that can be consumed in one or more sittings, two labels will be provided to consumers. The FDA says all manufacturers will need to implement the new labels by July 26, 2018.